New York City will always be one of my favorite places. The energy, the food, the history… everything about this city is intoxicating to me and every time we leave, I can’t wait to return again. And every time I do, there is always so many new things to discover. 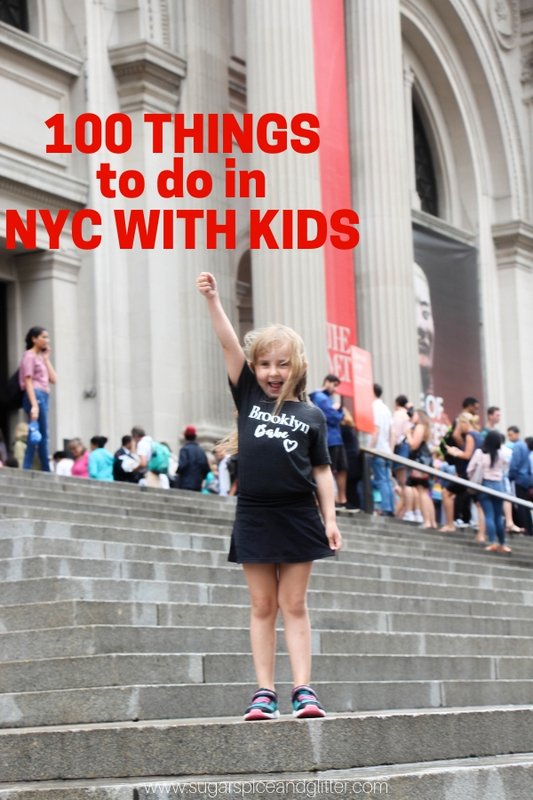 My daughter is also hooked on everything NYC has to offer. From all of the wonderful frozen treats we sampled, to amazing historical attractions, interactive children’s museums, and more. 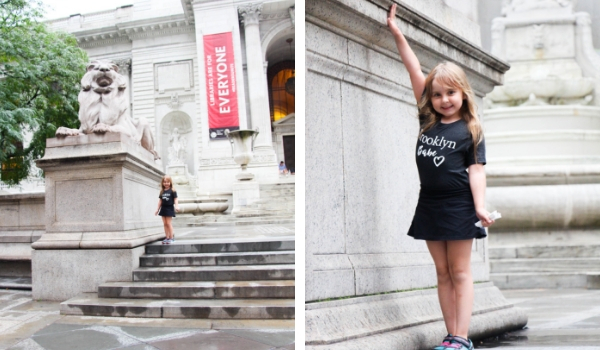 She has so many wonderful memories of NYC and now when we read a book or watch a movie set in NYC, she is delighted when a recognizable landmark pops up. 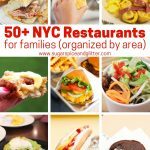 We worked together to pick our top 100 things to do in NYC – many (many) of the things on this list are things that we’ve had the pleasure of experiencing, but some are attractions or experiences that we have just researched. 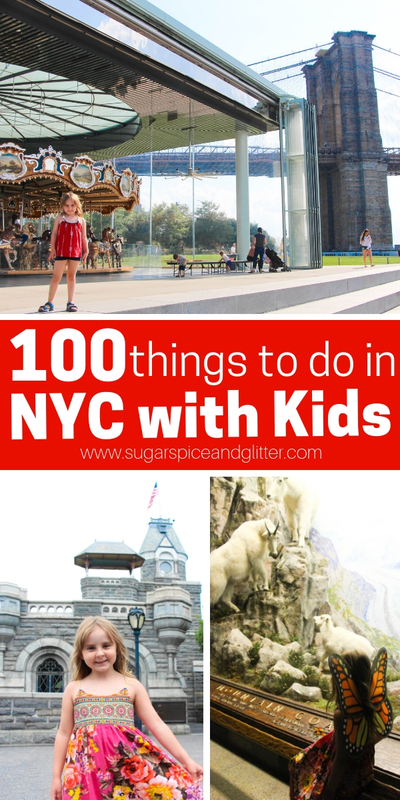 If there is anything that we left off of this list that you think other families visiting NYC would enjoy, please leave me a comment below! I also highly recommend grabbing a CityPass if the locations that it offers are on your list because not only does it save you a lot of money, the add-on perks of VIP line-hopping can save hours of precious vacation time. We also really enjoyed doing a food walking tour of Chelsea Market (we did the one offered by Foods of NY Tours). 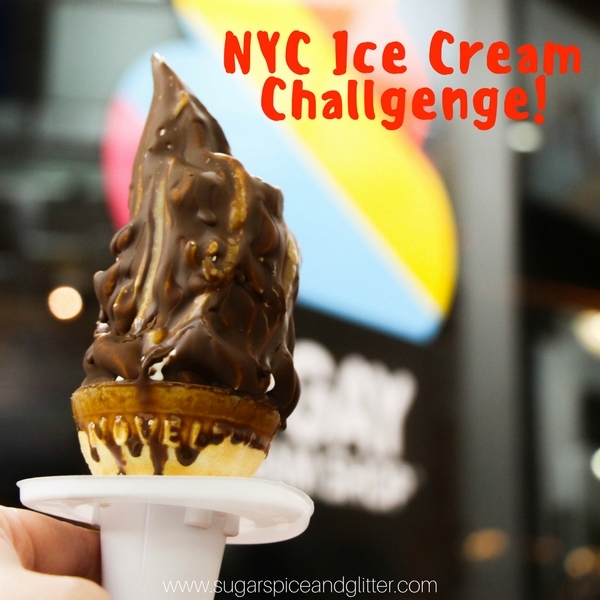 Grab one of our favorite frozen treats or do our NYC Ice Cream Challenge! Skip the horse-drawn carriage and go right for a horseback ride at Kensington Stables. Take a night time cruise on the Hudson River for the best views of the Statue of Liberty and NYC nighttime lights. Skip the Empire State Building and head to the Top of the Rock for great views and fewer crowds. Take the 6 and head to Brooklyn to grab the ‘gram-worthy Rainbow Bagel. 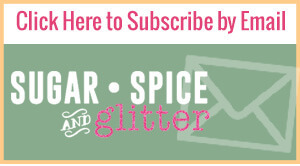 Splurge and let a makeup artist create a custom designed lip color just for you. Enjoy an NYC slice – Eataly or an authentic deli are great choices. 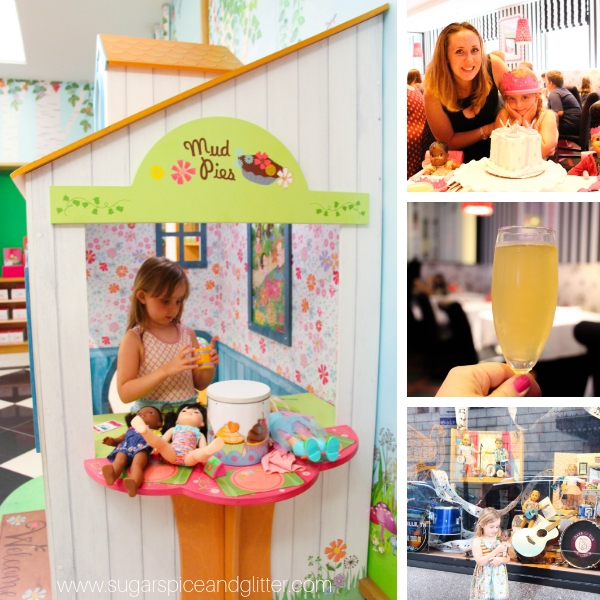 Get sprinkled with magic dust and dine like Alice at Alice’s Tea Cup. Have the best burger of your life at Shake Shack. Enjoy Anthony Bourdain’s favorite hot dog at Papaya King. 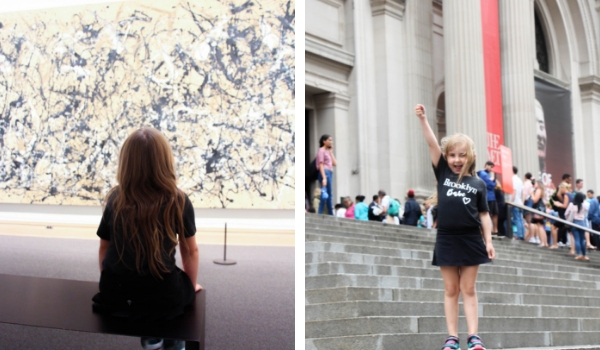 Enjoy a morning or afternoon of museum hopping at Museum Mile – start at the MET and work your way up! After visiting Museum Mile, make in the whimsical murals painted by Ludwig Bemelmans at the Carlyle bar. Enjoy a REAL NYC bagel – our favorite was from Bagels & Co near the Museum of Natural History, but any authentic deli should be a safe bet. 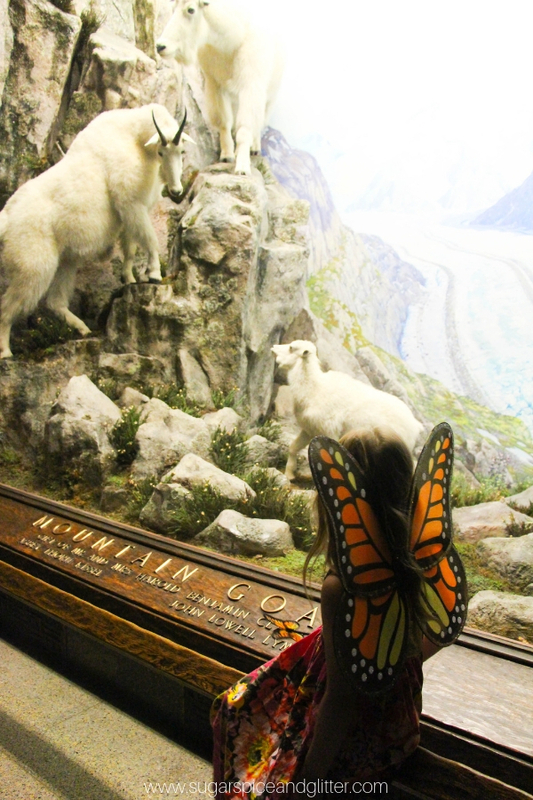 For kids who loved Night at the Museum, a visit to the Museum of Natural History is in order! 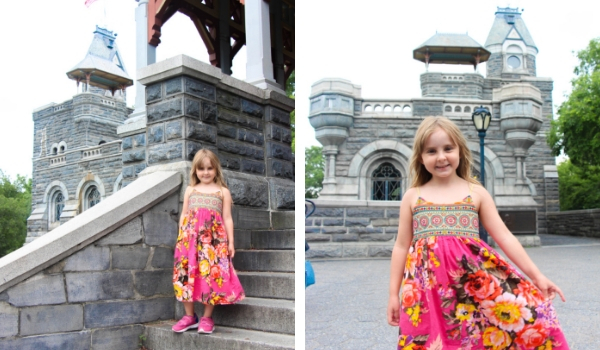 Visit a real castle in the middle of Central Park. Brunch at Sarabeth’s, order the scones and try all of the jams and marmalades on offer. 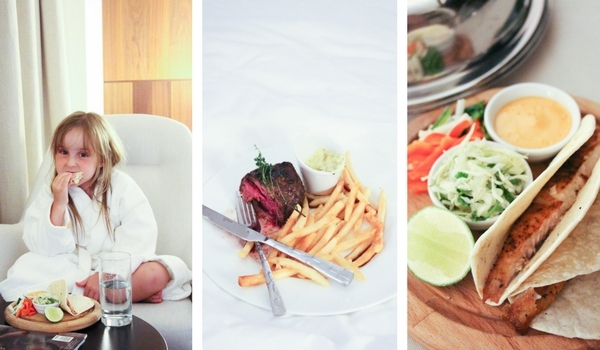 Eat your way through Chelsea Market and then walk it off on the Highline. Take in a Broadway show – we loved Wicked at the Gershwin! Visit Dominque Ansel’s for delicious French pastries, including the original cronut! Spend a rainy day playing at the Children’s Museum. 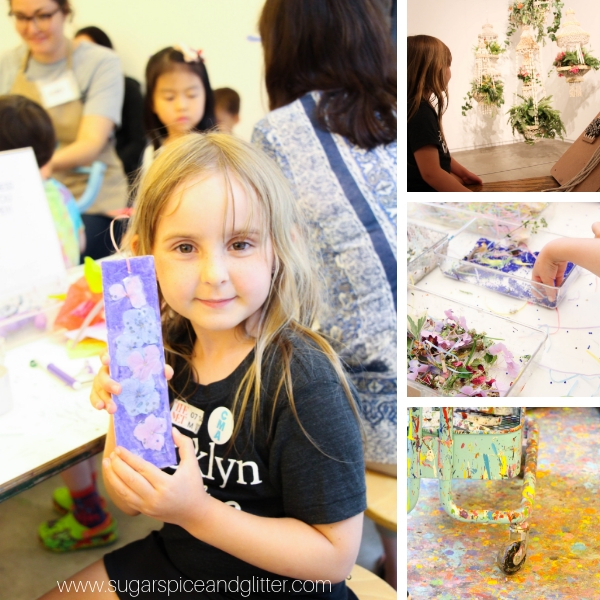 Make your own masterpiece at the Children’s Museum of Art. Grab a Sprinkles cupcake from one of their hot pink Cupcake ATM’s. Experience the shocking conditions in which immigrants lived at the Tenement Museum. Walk the Brooklyn Bridge and take your very own postcard-worthy picture. Track down the monthly StorySLAM for live storytelling from some of the best of NYC’s unknown talents. Forget one-note dried meatballs – kids will love choosing their favorite flavor at the Meatball Shop. Explore the kids-only bookstore, BookCourt that allegedly inspired the You’ve Got Mail spot. Zipline alongside the Bronx River at the Treetop Adventure Park. Blast off at the Intrepid Sea, Air & Space Museum. Finally, a historical museum geared just for kids – the DiMenna Children’s History Museum is perfect for bringing history to life. Ride the historic trolley through one of the US’s oldest cemeteries at Green-Wood Cemetery. Explore a playground for the entire family right in Tribeca at Pier 25 at Hudson River Park. 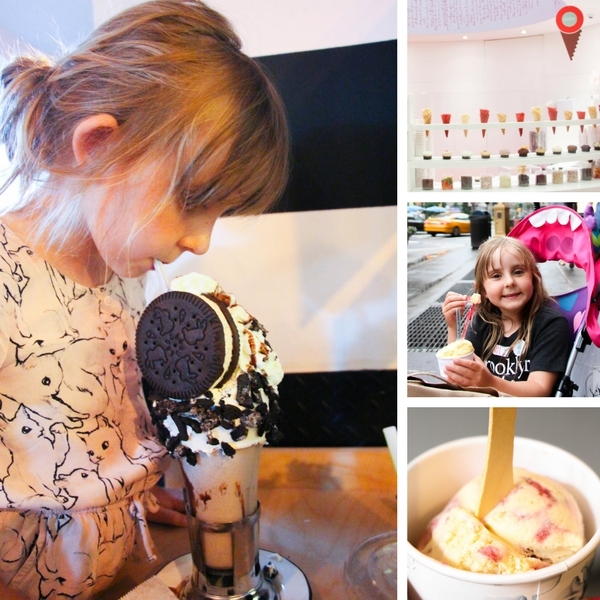 Out of this world flavors at Ample Hills Creamery will draw you in, but the kids won’t want to leave after churning their own ice cream. Free kayaking at Brooklyn Bridge Park gives you a new perspective on the iconic NY skyline. Authentic Neapolitan pizzas at Di Fara draw the locals in hoards – the wait it worth it! Get your retro roller skate on at LeFrak Center’s rink. Legendary cheesecake and a kids’ menu await at Junior’s Restaurant. 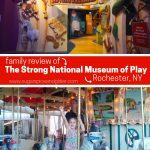 Maneuver the Secret Garden Maze and explore the Staten Island Children’s Museum on Snug Harbor. Animal lovers can’t miss the New York Aquarium off the Coney Island Boardwalk. See science and 3-D printing in a new way at the New York Hall of Science. 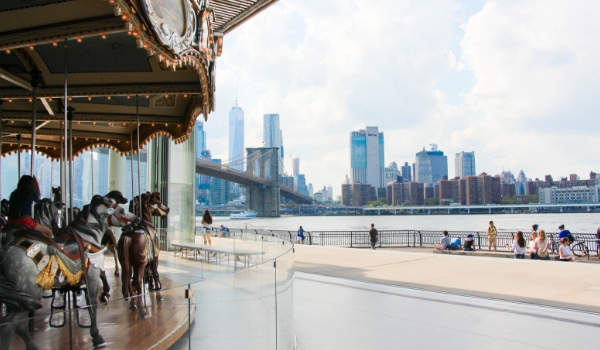 While in Brooklyn, head to Jane’s Carousel for the ultimately photogenic carousel experience. People watch to your heart’s content at Washington Square Park. 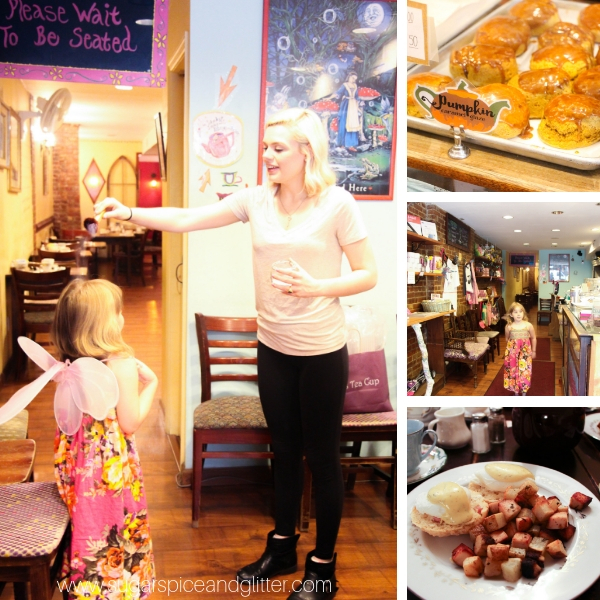 For an unforgettable brunch, put Café Cluny on the list. Have your very own tea party at Boise Tea Parlor (or Alice’s Tea Cup) on any budget or go all out at the Ritz-Carlton. Catch the ferry to Red Hook for views of the Statue of Liberty and an idyllic neighborhood to explore when you get there. The observation deck at One World Trade Center is worth the tourist throng. Shuffleboard moves beyond the cruise at the Royal Palms. TV and movie junkies should make time for the Museum of the Moving Image. Even if you don’t head inside, the Guggenheim is worth a stop. Trace your family history or simply appreciate the immigrant story at Ellis Island. Whether you catch a train or not, don’t miss the Grand Central Terminal. Blow off some steam and play like a kid at Chelsea Piers Field House. See another side of poetry at the Poets House. Curious about contemporary art? Don’t miss Freemans. Skip the crowds and check out the Farmer’s Market and dog park at McGolrick Park. Immerse your taste buds in the Korean BBQ at Kang Ho Dong Baekjeong. Even non-comic book fans might geek out at Forbidden Planet. Geo-catch to your heart’s content in Central Park. Enjoy a midsummer nights evening at an open-air theater in Central Park where the Bard comes to life. Don’t miss the Wonder Wheel at iconic Coney Island. Breathe in the fragrant cherry blossoms at the Cherry Blossom Festival at the Brooklyn Botanical Gardens. We had an AMAZING experience on the Chelsea Market Food Walking Tour offered through Food Tours of NYC. They’ve been making dim sum at the Nom Wah Tea Parlor since 1920, so you know it’s gotta be good. Step back to another time and place at Fort Tyron Park’s Cloisters created from five European Abbeys. Book lovers will love to lose several hours at the Strand Book Store. Live music and performers woo diners beneath lush greenery at the Galloway Green rooftop bar at the McKittrick Hotel. Admission is always free at the Bronx Zoo. The views are impressive at the massive Astoria Park Pool. Kids will adore staring at the unusual ceiling décor at Cubbyhole. Catch a classic film on the outdoor screen at Bryant Park. Stroll the East River Waterfront Esplanade, and you might forget you’re in the heart of a bustling city. FDR’s Four Freedoms Park gives you a whole new waterfront vantage of the city. A free waterfront bike ride at Governor’s Island will help you burn off any extra calories you might be taking on as you eat across the city. After your bike ride, take a snooze in the Hammock Grove on Governor’s Island. Up for an indy film? Check out the IFC Center. For pizza options beyond pepperoni, Katonah Pizza and Pasta fits the bill every time. The New York Botanical Gardens never disappoints, no matter how you feel about plants. The wait at Momofuku Noodle Bar is totally worth it – you’ll find something for everyone. Take a moment to remember 9/11 at the breathtaking memorial. You might forget about the books when the architecture of the NY Public Library takes your breath away. Fancy foods, eclectic films and the nostalgia of NYC with a visit to the Plaza Food Court and Paris Theater. Get a family-friendly behind the scenes look at Broadway on the Broadway Up Close tour. Yep, you can even paddleboard on an NYC trip – try Pier 66. Authentic Italian food on Arthur Avenue offers the chance to stroll and dine this historic neighborhood. MoMA is an art museum even the kids will get a kick out of. 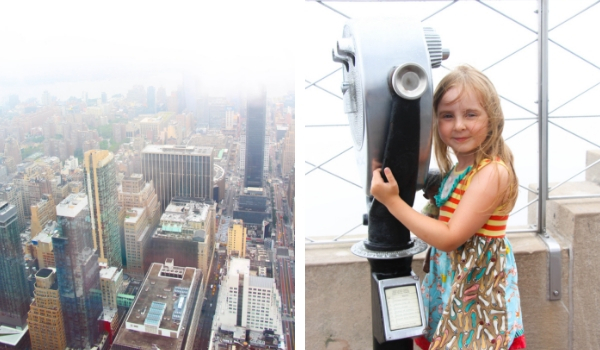 It can be hard to resist the live TV temptation and observation deck at Rockefeller Center. Get up close with the water with a surfing lesson at Rockaway Beach Surf Club. Both the architecture and the displays make a trip to Barney’s absolutely worth it. Toby’s Estate Coffee locations throughout the city will keep you charged up for whatever’s next. After the Hayden Planetarium, indulge in an unforgettable one-of-a-kind chocolate chip cookie from Levain Bakery. The ever-changing and family-friendly shows at the New Victory Theater will captivate even the most fidgety. Queens County Farm Museum gets kids up close with the animals at the longest continually farmed site in the state. 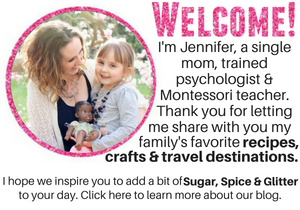 Take your little ones to the American Girl store for some pampering, shopping – or a special tea time with their dolls! Let kids be on stage at an Improv 4 Kids show. Kids will love finding their favorite characters at Madame Tussauds. With a historic mansion and family-friendly nature walks, Wave Hill is a great stop away from the bustle of the city. Hang on to those meal tickets when you visit Katz’s iconic deli. Performances of kids’ favorite shows by puppets? Don’t miss Puppetworks. Dine with ninjas in Tribeca. Live kid bands are the feature of Riverside Park’s Summer on the Hudson Children’s Performance Series. See an original Enigma computing machine and get in touch with your inner spy at Skyscape. 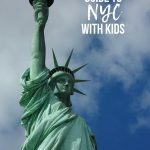 NYC is a surprisingly family-friendly vacation destination and there is so much to do in the city that never sleeps! 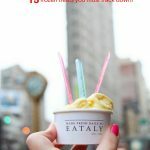 For more amazing NYC vacation ideas, check out our NYC Ice Cream Challenge or our Langham NYC Hotel Review.